THIS IS ONE OF THE BEST NEW PRODUCTS FOR BALLOONISTS WE'VE SEEN. NOW YOU CAN STORE YOUR DAMP OR WET CROWN LINE OR TETHER ROPES IN A BAG THAT ALLOWS THEM TO DRY AS AIR CIRCULATES THROUGH! MADE IN USA Special, durable, net-like material allows air and moisture to pass freely through. 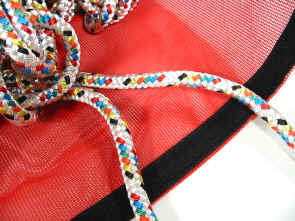 Now you can conveniently store wet or damp ropes without trapping moisture and rot-causing mildew. One of the most common causes of localized damage to balloon fabric coating is moisture trapped in the envelope storage bag. Our crown line bag is especially effective for eliminating the major cause of this type of damage - wet crown lines. The crown line can be removed from the balloon or left attached. Once placed in the breathable bag, it can be hung conveniently on the outside of the envelope storage bag, where it can be left to dry. No worries about misplacing the crown line, our bag has a loop for attaching it to the envelope bag! 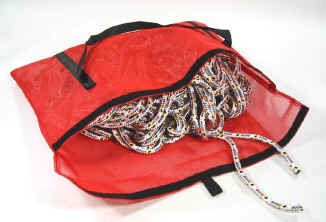 Tether Rope Bags are 20" x 30" with velcro closure. 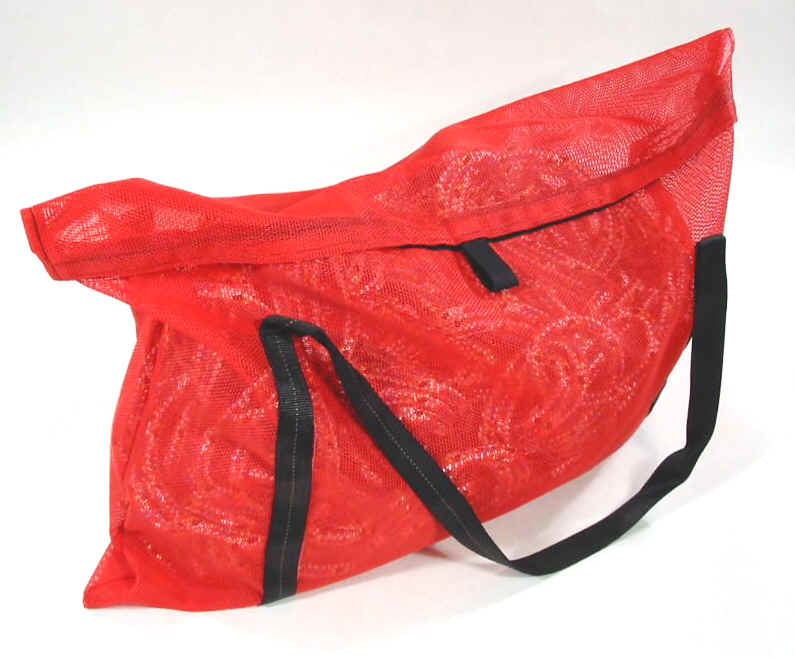 Crown Line Bags are 12" x 18" with a drawstring top. SORRY, NO COLOR CHOICE AVAILABLE.